and dozens of food and beverage experiences. 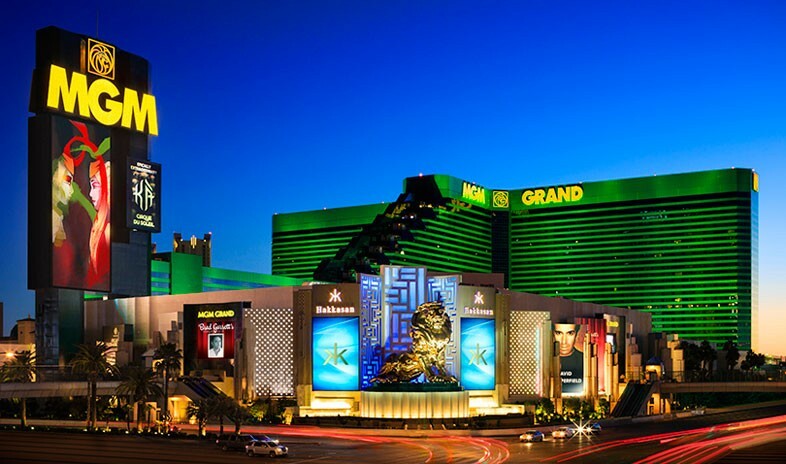 MGM Grand lives up to its name with expansive facilities and services to satisfy virtually any group’s size or agenda. They begin with the 600,000 square feet of customizable space at the onsite Conference Center, which is highlighted by the pillarless, 92,000-square-foot Marquee Ballroom. But that’s just the beginning, as a $130 million expansion project was completed at the end of 2018, adding 250,000 square feet of space to the Conference Center. All of it comes with the support of an award-winning team of certified meeting professionals, as well as equipment setups including simple LCD projection packages, custom-designed general sessions, and full-scale productions. Accommodations range from deluxe rooms and suites in the Grand Tower to the Skylofts, a private sanctuary of elegant, AAA Five Diamond lofts. The Signature at MGM Grand provides an all-suite experience — as well as 4,000 square feet of flexible, high-end event space ideal for executive meetings, incentive groups, and social affairs — in a separate world of indulgence and escape. Just steps away from any accommodation, guests find some of the best culinary experiences, recreational activities, and nightlife on the Strip. Diners delight in the choice of celebrity-helmed restaurants, such as Joël Robuchon and Tom Colicchio’s Craftsteak. Entertainment seekers revel in Cirque du Soleil’s Kà, world-class shows at the MGM Grand Garden Arena, and the unbeatable atmosphere at Hakkasan Nightclub. Those seeking relaxation find it at the 6.5-acre pool complex or the full-service spa. The MGM Grand is definitely worth your time. The twitter wall at registration is just the right level of distraction to get your attendees through the line and on hot days they kindly offer beverages while you wait. The newly renovated wellness sleeping rooms are amazing! Vitamin infused showers work wonders and one night in these rooms takes you away from the hustle and bustle of the Vegas strip. The only complaint I received from some of my attendees is the distance from the rooms to the meeting space. However, the meeting space is beautiful! Ran 2 conferences there over 2 years. Found it hard to get a hold of conference staff for last-minute requests. Distance from venue to rooms was also a hindrance.